One of the world’s most renowned philosophizers once proclaimed, “it’s not easy being green.” Yes – that was Kermit the Frog…but let’s give credit where credit is due – millions have learned some important lessons from Kermit! And at Stratus Building Solutions, the nation’s leading green commercial cleaning and janitorial services franchise, we can confirm it isn’t easy being green. While it may not be easy, Stratus Building Solutions strives to do what’s right. Environment-friendly cleaning and janitorial solutions isn’t just a motto, its what we are all about (here’s a quick video, if you’re interested). This April marks the 48th anniversary of Earth Month and on Sunday, April 22, the country will unite to celebrate Earth Day. Various events are held worldwide to demonstrate support for environmental protection. That mission coincides with our practices at Stratus Building Solutions. It is imperative to our core identity that each of our hundreds of franchise owners from coast to coast provide exceptional green cleaning solutions EVERY day. However, since we ARE celebrating our environment this month, we would like to take this opportunity to salute and recognize the thousands of small business owners across the country who have stepped up to provide healthier environments for their customers and employees. You made that commitment when you partnered with Stratus Building Solutions, the nation’s leading green commercial cleaning and janitorial services franchise. 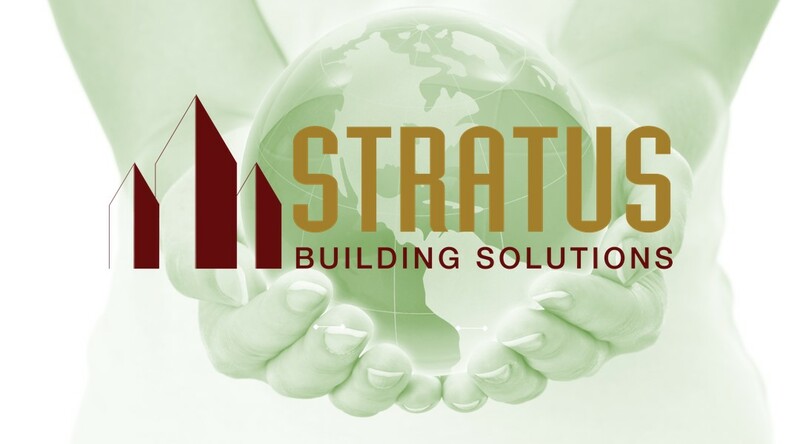 What makes Stratus Building Solutions so environmentally friendly? We say this with all the humility in the world…everything! Everything we do revolves around providing a superior, environmentally friendly cleaning experience. We have a proven reputation as the green cleaning service experts. 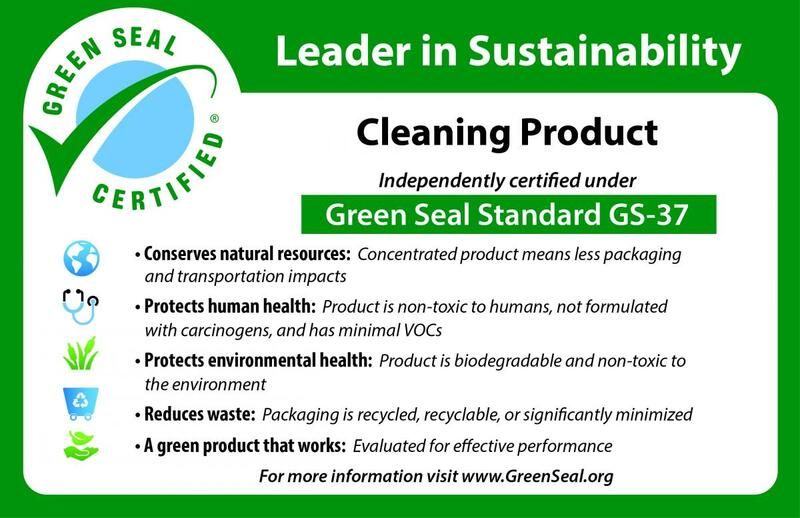 Let’s start with the fact that we use our own proprietary line of Green Seal Certified Stratus Green Clean chemicals. That includes our own glass cleaner, bath and bowl cleaner and all-purpose cleaner. Again, going green is not just a motto, it is our business. Part of our business involves protecting the health and safety of your valued employees. If you pay close attention, you’ll notice our professional janitorial cleaners armed with an array of color-coded microfiber cloths. Those cloths aren’t on hand for fashion purposes. The color coordinated cloths serves a specific purpose. The red cloths are only used in and around the bathrooms. Blue cloths are exclusive to cleaning your glass surfaces. Taking this approach eliminates the possibility of cross contamination and reducing the risk to your employees. As the nation’s leading green commercial cleaning and janitorial services franchise, we are all about embracing technology to help in our green efforts. A key tool to help us accomplish green cleaning is the UV-C light wand. The cutting-edge sanitizing tool is chemical-free and odorless. It sanitizes viruses, bacteria mold and dust mites by penetrating the membranes and dismantling their reproductive capabilities. The vacuum cleaners that Stratus Building Solutions uses to clean your floors are also geared to be environmentally friendly. A combination of Microfilters and Micro-Tex filters removes hair, pollen, dust, mold and most bacteria particles down to 0.1 microns with 99.99% efficiency. We understand the health and safety of your employees is your top priority. That’s why you’ve entrusted your cleaning solutions with Stratus Building Solutions, the nation’s leading green commercial cleaning and janitorial services franchise. Clean environments, ranging from daycares and dealerships, to office buildings and gyms, is our top priority. Hats off to you for partnering with us to celebrate Earth Day, protecting the environment and employee health, 365 days of the year. If you’re looking to join in the fun of promoting environmentally friendly concepts while providing a healthy work environment for your employees, please feel free to visit our locations page and find the Stratus Building Solutions franchise owner closest to your business.